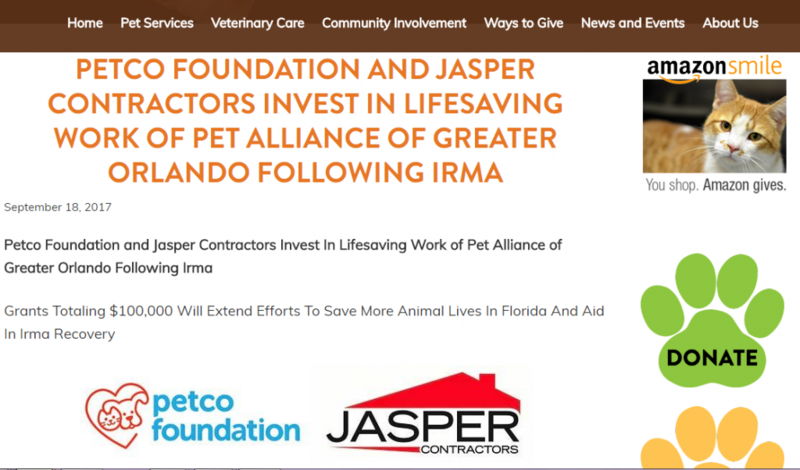 Jasper Contractors challenged Petco to a $50,000 donation match to the Pet Alliance of Greater Orlando after Hurricane Iram. Together, the companies were able to send donations totaling $100,000! 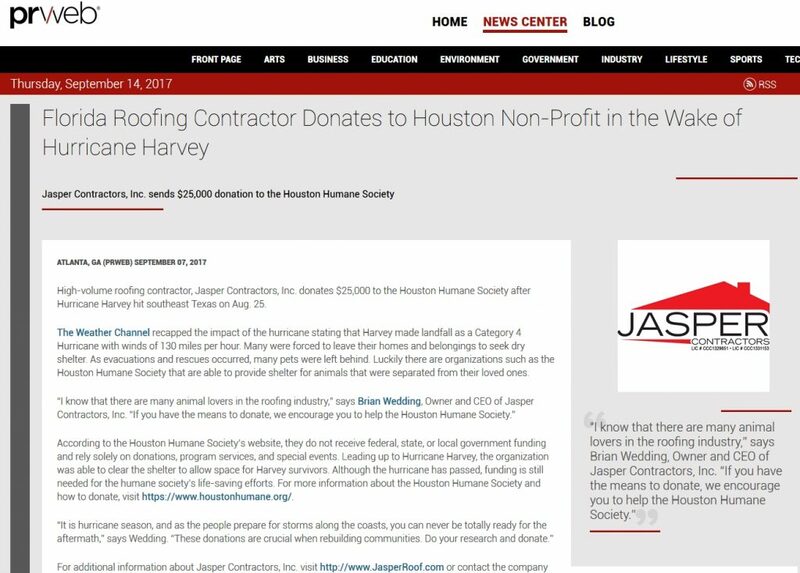 Jasper Contractors, Inc. sends $25,000 donation to the Houston Humane Society. 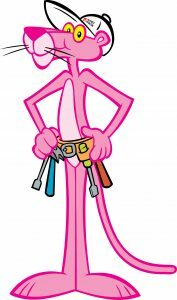 Jasper joined forces with National Breast Cancer Foundation and SPEC Building Materials to donate a portion of every roof install for Installs 4 The Cause. 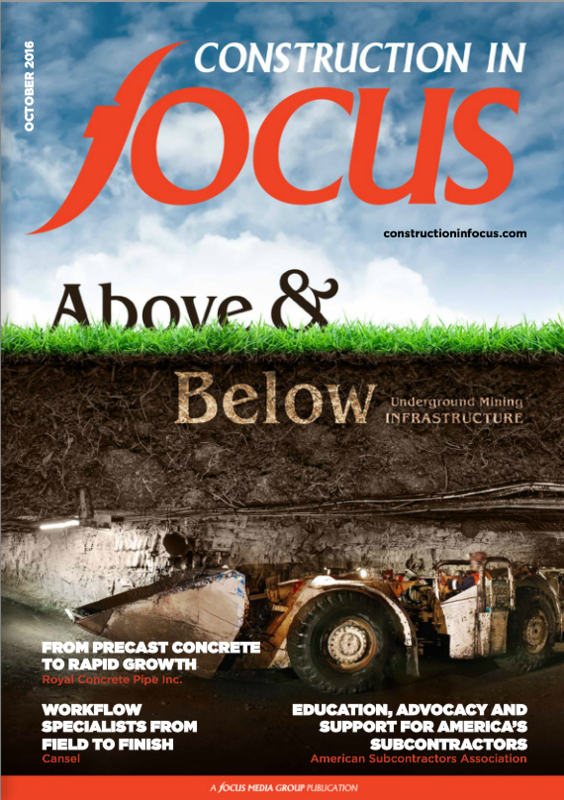 Jasper Contractors, Inc. founder Brian Wedding talks about his mindset for building the company into what it is today. 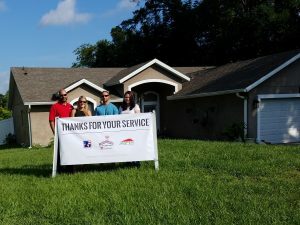 Jasper Contractors, Inc. partnered with Owens Corning and Support Our Troops to install a roof for a deserving military family in Florida. 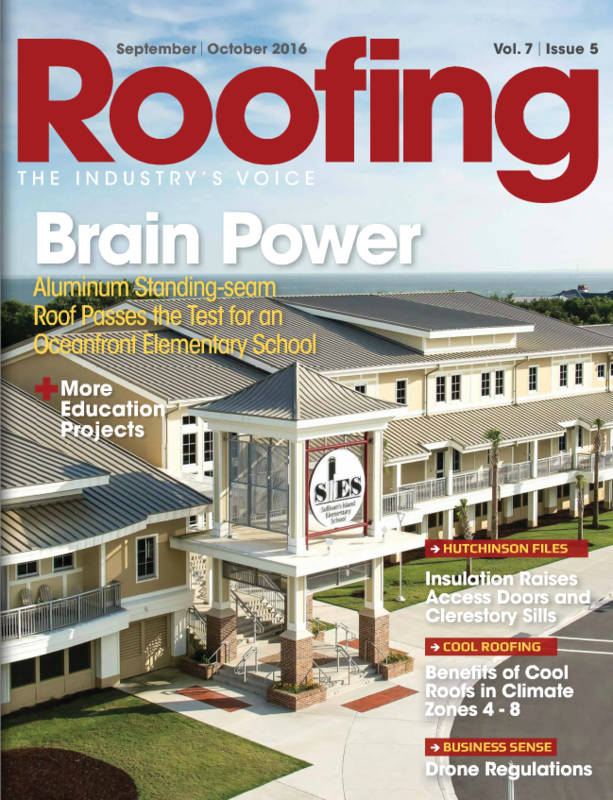 Read about our time with the Singrossi family on page 94 in the September/October issue of Roofing Magazine. According to National Breast Cancer Foundation (NBCF), one in eight women will be diagnosed with breast cancer in their lifetime. Although most people understand that breast cancer is a life-threatening disease, the severity does not fully set in until a loved one is diagnosed. The NOAA has predicted an above average hurricane season this year. 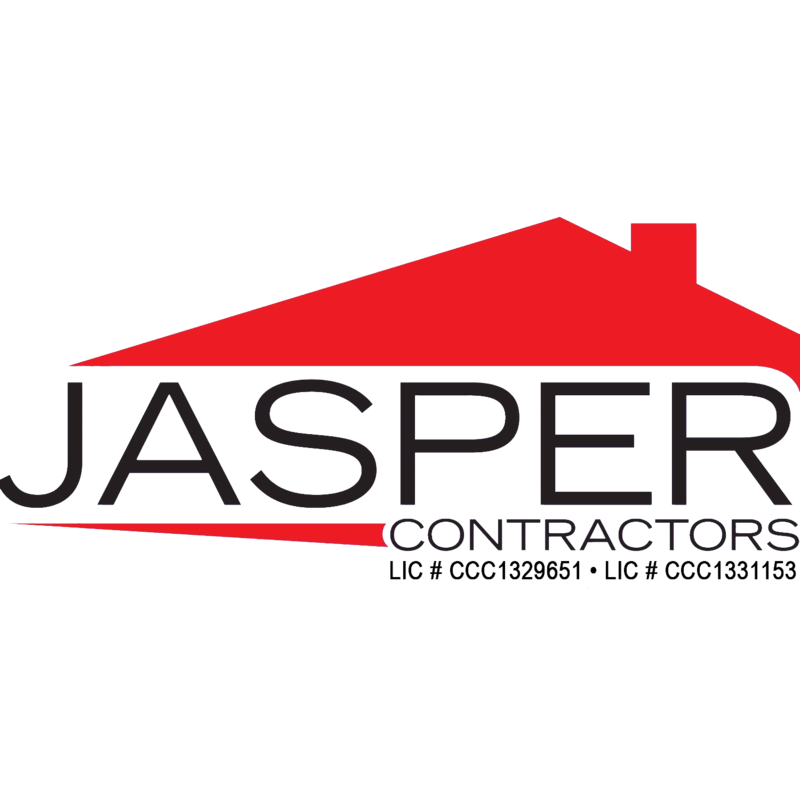 View Jasper Contractors’ tips on how to stay ahead of the storm when roof damage hits your home. 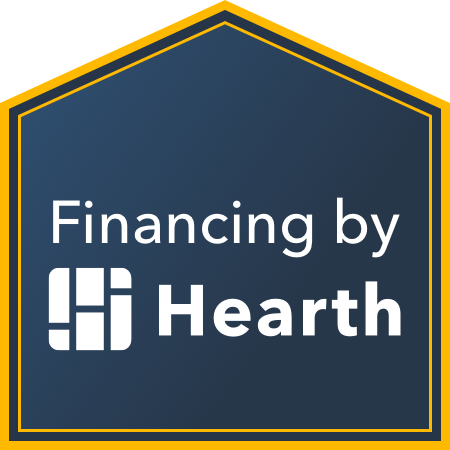 Support Our Troops matched us with a military family in Florida to install a new roof. Read about our install in the Sanford Herald. Owens Corning, a global company that develops and produces insulation, roofing, and fiberglass composites, began partnering with Support Our Troops in March of this year to bring service men and women new roofs. 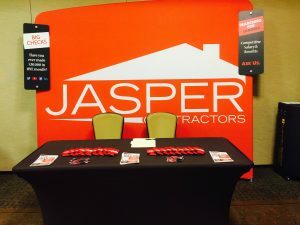 With six office locations and a large customer base throughout the state of Florida, Jasper Contractors Inc. has big plans for expansion and hiring in 2016. 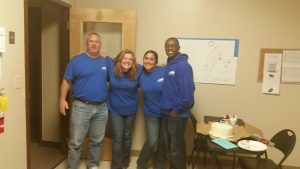 The roofing company has been in business since 2004 and has concreted itself as one of the top high-volume roofing contractors in America.